Brides in Texas have been turning to Samantha Landis to complete their wedding day looks for many years and for good reason. This artist has experience in the industry but is still being creative and always learning new things about her craft. You will never get the same sample look when you hire this artist. She will get to know your personal style and preferences and then customize the makeup accordingly. This professional has stellar reviews, which also make it easy to learn about her style. Getting your wedding hair and makeup done by Terri Tomlinson means being able to really customize your look and also know that the final results will be flawless. This makeup artist in Plano, TX has over 25 years of experience in the industry, which means she has mastered applying countless different looks. Terri has done makeup for looks that would be seen in professional photographs, on television, and in everyday life. She is talented in being able to adapt her style for each situation. Hiring luxury bridal makeup from Erin Blair means opting for artists that received specialized training in executing bridal looks. This training does not only help them to create flawless looks but they really listen to the way that you would like to look on your wedding day. They will always use waterproof makeup and long lasting options that will stand up to the long day and any possible tears. It will even feel like you have permanent makeup on throughout the day. You only get to be the bride and the center of attention on such a special day once in your life, which is why you should only trust the best Plano makeup artists to complete your look. 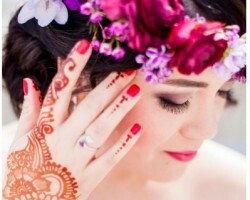 The professionals at TC Makeup have years of experience applying special occasion and event makeup as well as personalizing their services for brides. You can choose from different packages that include test runs for the look or you can simply book the team for the wedding day. You could book the services of an expensive makeup artist that has an editorial style or you can work with the experts at Blushington and have a customized look from an expert that has listened to exactly what you want. For more affordable prices you can be sure that the look you are going for is achieved flawlessly. The service, the skill and the low costs make this a great service for brides that want to look beautiful without breaking the bank.